“We don’t know. It doesn’t look great. Fingers crossed.” Adam Simpson on Nic Naitanui’s injury. West Coast Eagles Ruckman is putting on a brave face for his team despite injuring his right knee in yesterday’s clash against Collingwood. Heartbreakingly it looks like he is facing another reconstruction and another 12 months on the bench. 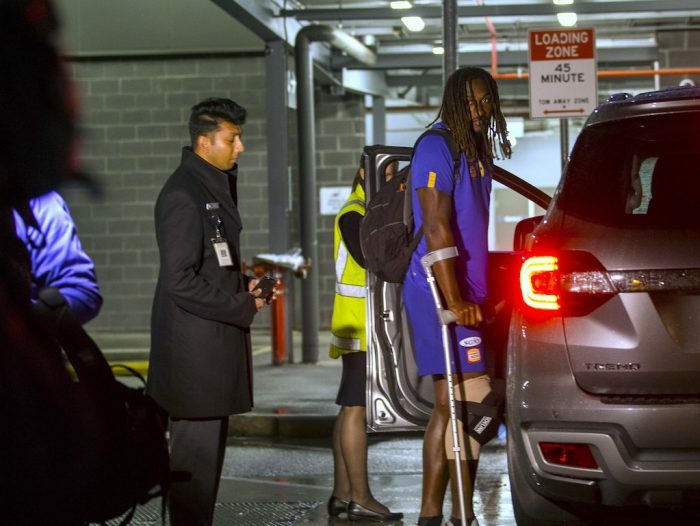 Naitanui missed the entire 2017 season after injuring his left knee in 2016. The one devastating thought on everyone’s mind is that this could be career ending. It was a bitter sweet game as The Eagles won by an outstanding 35 points, broke Collingwood’s 7 game winning streak and moved to second place on the ladder.